In tireless service and diligence, yoked with others, oxen work, pulling heavy loads and plowing for a more fertile and abundantly giving environment. And they do not work alone. What would our community look like if we also worked tirelessly with others to make our community abundant for all? What if we dedicated our energy to working together for a better world? 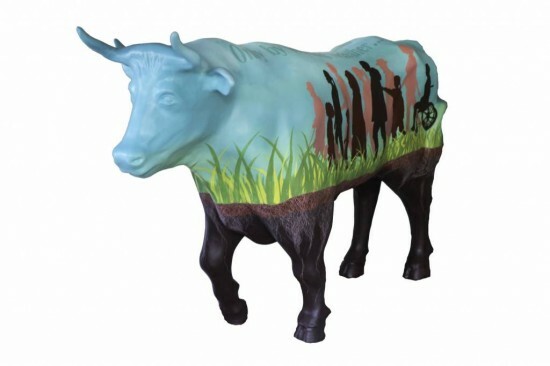 “Ox Populi” invites the viewer to join in the movement of people, those young and old, female and male, of all races, abilities, and occupations, to make the ground fertile for community.